Hyaluronidase — is an enzyme that works by breaking down the hyaluronic acid, a sugar that is present in the connective tissues. It is highly effective in dissolving hyaluronic acid-based facial fillers, if they went wrong. 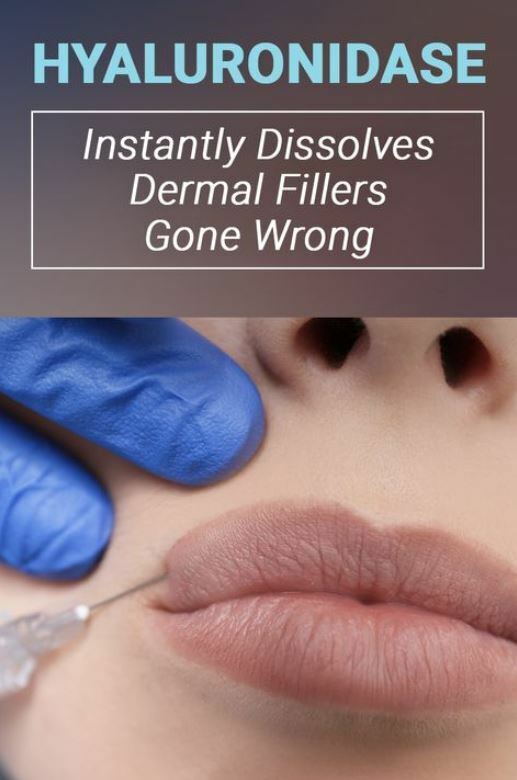 When injected into the affected area(s) they cause the hyaluronic acid to break down at an accelerated pace, so that you don’t have to put up with an unwanted appearance or wait until filler breaks down naturally. What are side effects from hyaluronidase? Very rare patient can develop allergic reaction to the product , therefore patch test should be perform 30 minutes before the treatment .Some resources suggest that injection of hyaluronidase can dissolve natural hyaluronic acid , however there is no clinical research evidence to support this. Are there any alternatives to remove hyaluronic acid fillers? Soon after being injected, hyaluronic acid fillers can be aspirated or extruded , with a larger gage needle. It’s important to note that hyaluronidase can only be used on hyaluronic acid-based fillers. It will not work on other type fillers like Radiesse. In certain scenarios, extremely rare, surgical excision may be require to remove the fillers. How long will it take for hyaluronidase to dissolve fillers? Results of a hyaluronidase injection for dermal filler removal should be apparent within the first 24 hours, but it depends on how much is injected and who the injector is. Sometimes results may appear within the first half hour. How soon can I have another Dermal fillers treatment after hyaluronidase injections? It is advisable to wait 10 to 14 days after the treatment. In some cases, retreatment can be done earlier. We advise consult with your Doctor to make inform decision. This patient has been presented to our clinic and was not happy with results in tear through treatment that she received at another clinic. Dissolved fillers in tear through area using hyaluronidase. At Angels Twelve we always deliver a natural result and provide safe , high quality treatments to our patients. Dr Olha has been working Aesthetics for more than 8 years. She has published numerous journal articles on aesthetic treatments and been invited to speak at National and International conferences. 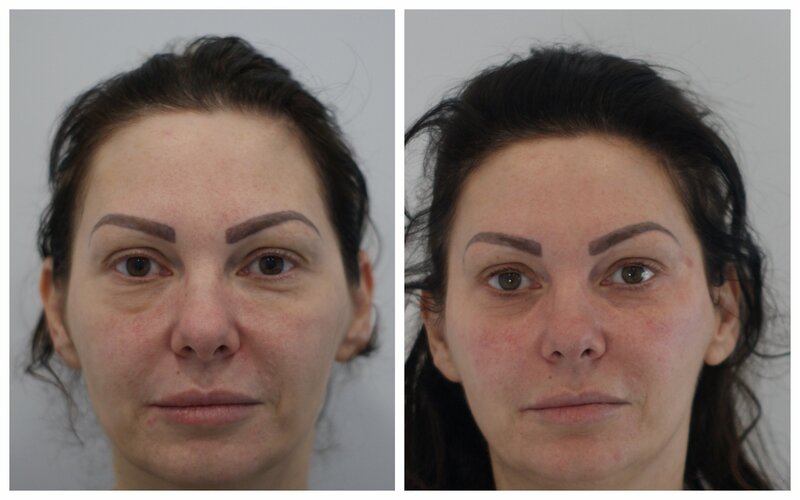 Her attention to detail, technical ability and amazing results quickly led to her establishing herself as one of the best Aesthetic Practitioners in the UK. Copyright text 2018 by Angels Twelve.